the highest standard of logo embroidery or print services available in Sydney. high usage, long life staff outfits. SABB polo is a modern fit. Navy, White, Black, Charcoal, Cyan, Electric Blue, Chilli Red. Mens S-5XL, Womens Sizes 6-26. Popular Nike Polo available in 18 colours! Ready to be co-branded with your logo. Club and Team Outfits. Nike Swoosh on Sleeve. 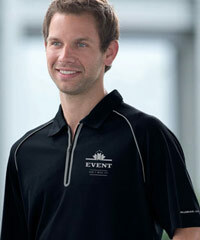 embroidered with your business logo. Neat Two Piece Collar. Mens Modern Fit! are currently Very Low in Stock. on Nike Golf Polo Shirts. 12 colours. 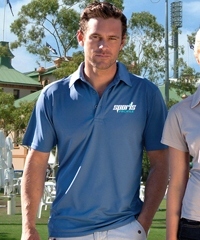 Premium Corporate Polo With Logo Service. Black, White and Navy. Mens Sizes SM-XXL. Your logo on front chest. Colours can be mixed for Teams. logo is the highlight feature of the garment. Performance and Play Dry shirts. Mens (18 Colours) and Womens (6 Colours). Mesh Sides and Shoulder Panels. Light, moisture wicking, Solid Colours. inside the button placket and left sleeve loop. soft pique knit cotton. Navy, Black, White, Red. tipping in the collar and cuffs and button panel. 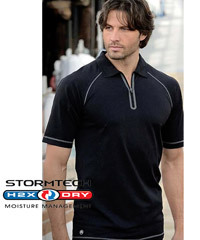 polo shirts in plain and contrast colours. From only $26.80 (20 pcs) ex GST. Pique cotton like Department Store Brands. Charcoal, Lavender. Mens Modern Fit. Knitted cuffs on the sleeves. Mens/Womens. fabric. Plain Solid Colours. Stylish collar. Black, Navy, White, Red, Charcoal, Dusty Blue. Silver Technology-Cool Dry, with Spandex. 7 Colours. Breathable, Static Free, Iron Free. Superior De-Odorised and Anti Bacterial. Australian Standard for High UV Resistance. Our best Polo for very Hot Weather conditions! From $28.80 (30 pcs) ex GST. moisture, helps to keep skin dry all day. Fabric features a unique pin head weave. White, Navy, Green, Blue, Charcoal, Black. School, Resorts, Health and Fitness Glubs. These are not Polo Shirts, more like a Sweater. Student sizes and Womens (8 to 16). Like a long sleeve Polo, sporty textured look. Angled chin guard. Nine Colours. Womens has thumbholes, keep hands warm. appearance for dressy casual wear. Perfect for outdoor occupations and groups. and White/Black. UPF Rating is EXCELLENT. club and fitness industry requirements. Light, moisture wicking with UV protection. Also in Student sizes and Womens (8 to 16). good fittings for everyone in your group. Perfect special events, sponsors, members. sports fabric. Amazing to wear. Cool Dry and Nano-Scale Silver Technology. light, cool polo for Hot Summer Weather! fit for ladies. Easy care, static free. fabric keeps you fresh all day. White, Navy, Red, Sandstone, Black, Blue. Uniforms, Tennis, Golf, Sailing, Members. Just arrived, Traverse Purple and Orange. 210 gram. 100% Cotton Pique. Now 8 colours!. Enjoy the natural comfort of cotton. Simplify organising your Company Clothing. Cotton Rich, High Quality, Functional. sports style, knit collar and arm bands. 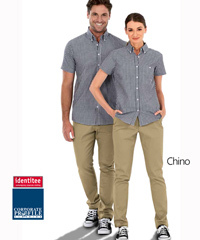 Identitee Check Shirts and Polo's. Offers maximum comfort and mobility. Premium, Adventure, Golf, Sailing, Members. fabric with engineered print on Front and Back. 6 Colours. Print or Embroidery for logo's. Colours, Black, Navy and Cyan Blue. moisture wicking, with welded zipped plaquet. Breathable, XTF Extreme Technical Fabric, UV+. Mens modern fit, Ladies leisure fit. Australia UPF Rating Very Good. Weathered Blue and Weathered Grey. Rich quality, slightly heavier than most polo's. Lycra stretch, slightly shorter sleeves. figure cut with mini cap sleeves. 7 Colours. Cool summer colours. Coral (pic above).